The spiky scales of a dragon are sure to make a statement as a part of your armored appearance. 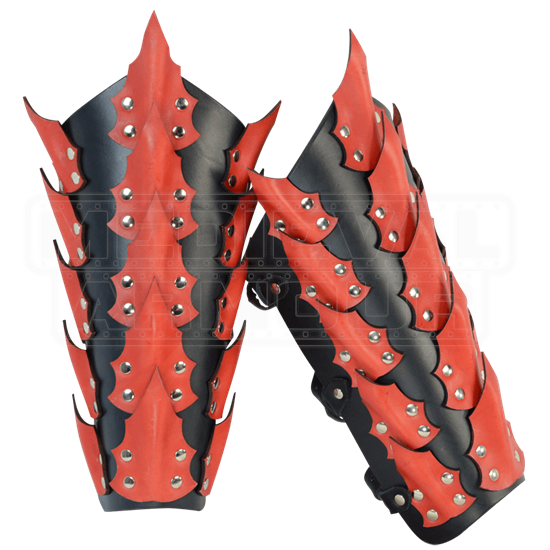 These Dragon King Greaves are made entirely from leather that is three-dimensionally shaped to resemble the jagged detail of the iconic dragon scale. They consists of three rows of broad, raised scales that are crafted from medium weight leather and are affixed to a thicker 13/15 oz. leather backing to ensure that they not only look wicked but also provide solid protection. They are also offered in a wide variety of different color options, to ensure that they match your look and your ensemble with ease. The greaves are sold as a pair and are secured with three buckles and straps. 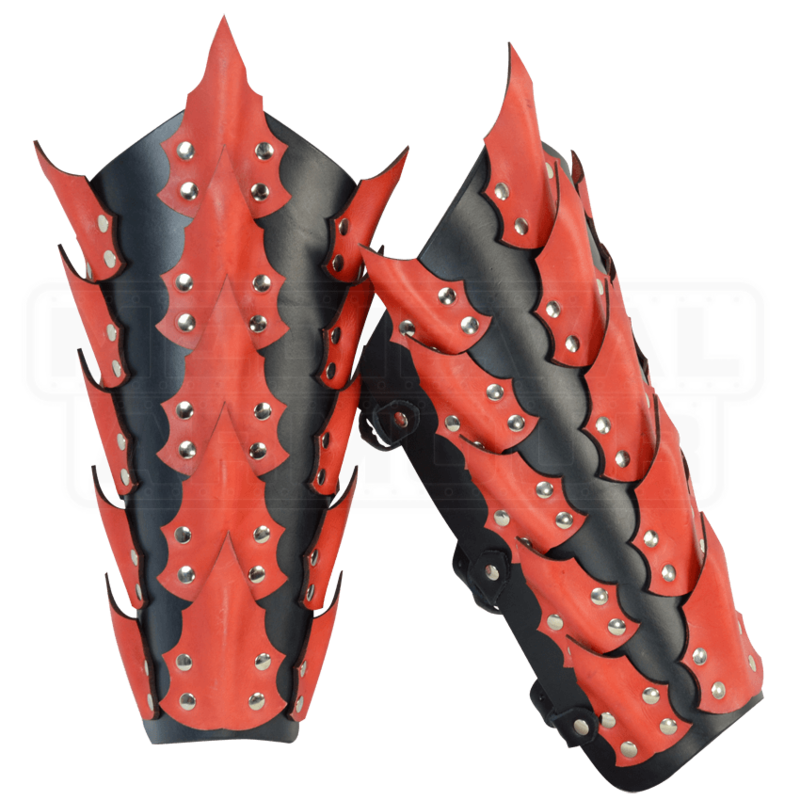 Highly adjustable and highly defensible, these Dragon King Greaves are a defensive masterpiece that will leave your opponents wondering where you got the dragon scales needed to make your armor! When ordering, the Color selection is for the color of the greaves. The Accent Color selection is for the color of the scales. The accent colors silver, gold, and pearl white are a metallic paint, rather than regular dyed leather. We use silver and brass colored hardware. Please see below for the default list of which colors come with what hardware. Of course if you wish to make a special request, let us know when ordering and we will be happy to switch the hardware for you!